On January 18, 2019 JAXA ( Japanese Aerospace Exploration Agency ) successfully launched a small Epsilon-4 rocket at the Uchinoura Space Center. JAXA proudly declared it one of 7 planned micro-satellite launches deployed to demonstrate innovative technology. Which innovative technology you ask? GPS, solar radiation, weather? Nope! Ponder entertainment technology, embellishing firework extravaganzas with artificial meteor showers. 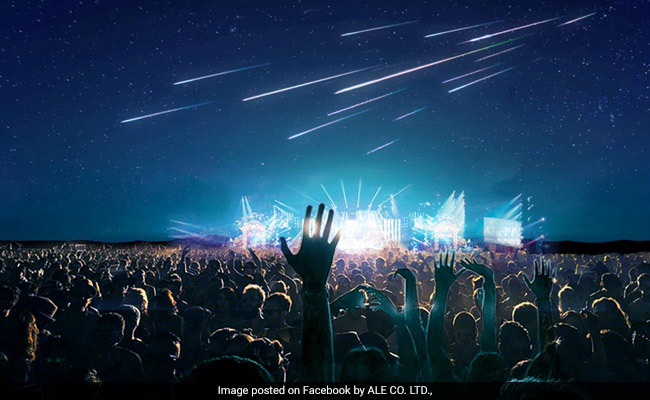 It seems Lena Okajima, president of Astro Live Experiences was smitten by an encounter with the Leonid meteor shower 20 years ago. Her vision – pack a satellite with hundreds of pellets, launch into Earth orbit, program release of pellets to simulate a meteor shower. Today AstroLive is poised to facilitate Okajima’s dream of meteors at your service. Pardon my ignorance for asking why JAXA considers artificial meteor showers valid aerospace exploration. Despite questionable mingling of entertainment and science, ALE has a vision and JAXA is on board. As I write, an ALE satellite orbits 500 kilometers above Earth. Engineers at ALE say 500 Km is too high for controlled release of artificial meteors. As such ALE’s satellite will gradually decrease orbit over the year to a distance of 400 kilometers. The first artificial meteor shower is slated for sometime in 2020 over Hiroshima, Japan. Pressure driven gas tanks will shoot out 20-30 pellets per entertainment event, each pellet glowing brightly as it burns up in the atmosphere. ALE’s goal is to dominate night skies with meteor showers on demand. “We want to use the sky as canvas and create very beautiful things” said Okajima. Few snippets of space news upset me as much as ALE’s determination to turn meteor showers into on demand entertainment. Twenty years ago Lena Okajima encountered Leonid and squealed look at the pretty lights. Rather than promote dark sky sanctuaries, cosmic education or productive research, she decides to cheapen cosmic wonder with artificial slight of hand.